Heineken hopes $3.1 billion will be enough to tap into a bigger share of China's huge beer market. The Dutch brewer said Friday it is picking up a 40% stake in China Resources Beer. That company is best known as the maker of Snow, which it says is the world's top selling beer by volume. In return, Heineken is surrendering its China operations to its new partner. CR Beer will also get a license to sell Heineken (HEINY) in China and a 0.9% stake in the European brewer. Jean-François van Boxmeer, Heineken's CEO, said in a statement the deal between the two companies is a "winning combination in the growing premium beer segment in China." Heineken, whose other beer brands include Sol, Tiger and Amstel, has struggled to gain a foothold in the world's largest beer market. Last year its market share was just 0.5%, according to data from Euromonitor. 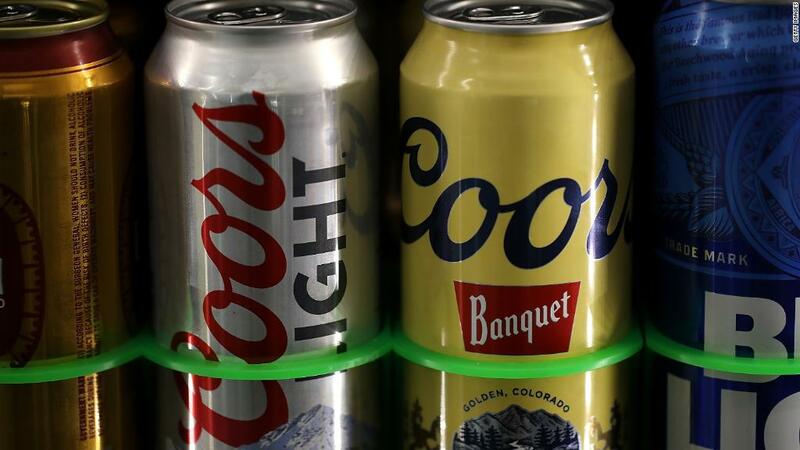 Related: What's killing big American beer? Analysts say that's because consumers are buying very cheap or very expensive drinks. 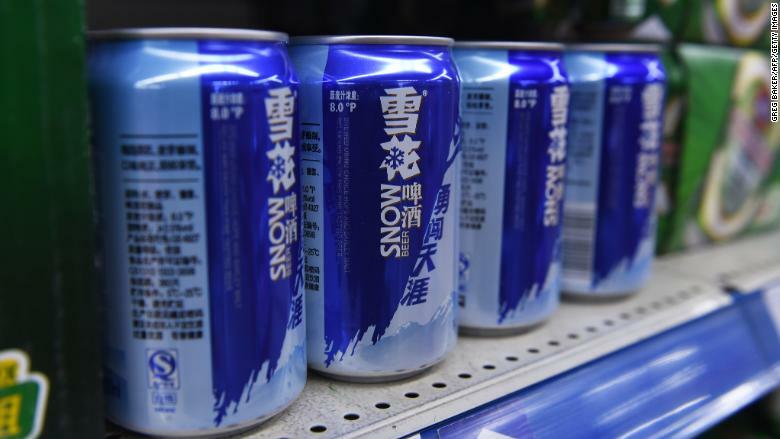 CR Beer's brands had about a quarter of the Chinese market last year, Euromonitor data shows, but profit margins of many of these drinks are thin and growth is slowing. Cans of Snow Beer displayed at a supermarket in Beijing on March 2, 2016. Snow is said to be the world's top selling beer by volume. "This is a tie up out of weakness, rather than strength," said Shaun Rein, head of consultancy China Market Research Group. He said that Heineken will be looking to take advantage of the Chinese company's better distribution networks to get a bigger market share for its own beers. In return, CR Beer gets a more profitable product to market to Chinese consumers. Even with this deal, Rein thinks that Heineken will still have a tough time gaining traction in China, as more consumers upgrade their tastes to premium beverages. "Wealthier Chinese have been moving more towards micro breweries and specialty beers," he said. "They're not buying Heineken, Corona or Carlsberg."